Paul Craig Roberts: "Once Upon A Time Long Ago Truth Was Important"
Paul Craig Roberts: “Once Upon A Time Long Ago Truth Was Important” 5 out of 5 based on 9 ratings. 9 user reviews. I wonder how many people, not just Americans but those in other countries, have come to the conclusion that the United States today is a less free and less aware society than the societies in the dystopian novels of the 20th century or in movies such as The Matrix and V for Vendetta. Just as people in the dystopian novels had no idea of their real situation, few Americans do either. What are we to make of the extraordinary war crimes committed by the United States in the 21st century that have destroyed in whole or part seven countries, resulting in millions of dead, maimed, orphaned, and displaced peoples? Consider, for example, the latest Washington war crime, the illegal attack on Syria. Instead of protesting this illegality, the American media egged it on, cheering impending death and destruction. During the entirety of the 21st century, Israel, Washington’s only ally—as contrasted with the European, Canadian, Australian, and Japanese vassal states of Washington’s empire—has continued with Washington’s support, protection, and encouragement the genocide of the Palestinian people. Essentially, all that is left of Palestine is a ghetto concentration camp known as Gaza which is routinely bombed by Israel using weapons and money supplied by Washington. When a bombing of Gaza is announced, God’s Chosen People take their lawn chairs and picnics up on a hill overlooking Gaza and applaud as the Israeli military murders women and children. This is America’s only ally. The crimes committed by the US and Israel are horrific, but meet with little opposition. In contrast, an alleged attack in which 70 Syrians are alleged to have died sets in motion the wheels of war. It makes no sense whatsoever. Israel routinely bombs Syrian targets, killing Syrians, and the US arms and supports the “rebels” that the Obama regime sent to overthrow Assad, resulting in large numbers of dead Syrians. Why all of a sudden do 70 Syrians matter to Washington? According to the Washington authorities, or to the presstitutes’ reports of their statements, two or three alleged Syrian chemical weapons facilities were destroyed by Washington’s missile attack. Think about this for a minute. If Washington bombed or sent missiles into chemical weapons facilities, a vast cloud of lethal gas would have been released. The civilian casualties would be many times higher than the claimed 70 victims of Assad’s alleged and unsubstantiated chemical attack used as the pretext for the Trump regime’s war crime against Syria. There is no evidence whatsoever of these casualties. Had there been casualties, Washington’s attack would obviously be a far greater crime than the chemical attack that Washington used as cover for its own crime. Yet the American presstitutes are crowing over the lesson that America has taught Syria and Russia. Apparently, the American media consists of such immoral or moronic hirelings that the presstitutes are unable to comprehend that an attack by Washington on Syrian chemical weapons plants, if such actually existed, is the equivalent of an attack on Syria with chemical weapons. As I wrote yesterday, when I was a Wall Street Journal editor, if Washington had just announced that it had bombed the chemical weapons facilities of another country in punishment for that country’s alleged use of a chemical weapon, the Journal’s reporters were sufficiently intelligent to ask where are the victims of Washington’s chemical attack on that country? Are there thousands of dead people from the chemical gas released by Washington’s attack? Are the hospitals of the country over-filed with the injured and dying? If a reporter had brought to us a story that was nothing but a Washington press release claiming obviously impossible happenings, we would have told him to go look again and ask the obvious questions. Today the NY Times and Washington Post put the unsubstantiated report on the front page. Today reporters no longer have to check sources, because there is no longer journalism in America. When the Clinton regime in compliance with the Deep State that made the Clintons super-rich permitted 90% of the independent and diverse US media to be concentrated in the hands of six political companies, that was the end of journalism in America. All we have now is a propaganda ministry that lies for a living. Anyone in American journalism who tells the truth is either immediately fired or in the case of Tucker Carlson at Fox News is set upon by outside presstitutes in an effort to force Fox to replace him. I wonder how long before some woman pops up and claims Tucker Carlson sexually harassed her. As far as I can tell, the United States is now a police state in which all information is controlled and the population is trained to believe the propaganda or be accused of lack of patriotism and consorting with terrorists and Russians. It was all pretty much known but it is good that an American journalist wrote it. Unfortunately I cannot imagine anything changing in the “West” – which of course includes Australia and NZ in Empire/financial/political system terms – until and unless a FAR greater economic crisis happens than happened in the Soviet Union during the 1990s. This could/should cause the US mainland empire to fracture into several independent states, likewise the EU (perhaps returning to the traditional states), quite possibly Australia to. In any case, overall, the end of the Empire of Chaos and the end of its ability to wage war. The alternative seems to be “one last gasp” of World War the Last and billions of dead globally. Granted that total economic meltdown in the “West” would cause massive dislocations and millions of deaths, but this would be gradual and people would have a chance to adapt/to organize on a more local level. I don’t WANT any of this, but when I draw together my 75 years of experience and collected knowledge, I cannot see any options, though I am not saying that I have predictive certainty, but I do know how other empires have ended/that all empires end. Historical patterns DO repeat, mainly because human nature does not change, only technology does. If things go as I’ve out-lined, absent WWL, then it’s feasible that the Russo-Sino Eurasian cooperative model might survive somewhat intact and comprise a model for future human revival, somewhat faster than the 1,000 “dark age” years between the end of the Roman Empire and the Enlightenment. Just surmising, though it’s certain that things cannot continue as they are for a multitude of reasons, take your pick!! Sometimes to be kind you must be cruel in this case the world as we know must change if this species called man is to survive…and that means burning the rat infested disease ridden house down to get a clean start…Humanity needs a clean start even a blind man can see it . If it doesn’t fit the accepted narrative, it doesn’t get printed. The press in the US is more effectively controlled than in the 30s in Nazi Germany and nobody has to go around killing reporters. USA media told that 76 cruise missile hit barzah complex…it means 26 cruise missile per each building( 2 floors)….so there were more missiles than rooms…. Empires collapse because they become rotten to the core….Rome,the British Empire the Chinese Empires that built the great wall all came tumbling down and the list goes on…The great pax america will go the same way corruption and greed, wars without end as the world watches. ..Civilisation has lost its true meaning. It is now organised barbarism with the strong slaughtering the weak with high tech machines of mass murder from the comforts of their homes.. Our TVs act as the modern day Colosseum inciting the masses to approve the unrelenting bloodshed.If this what they want then one day it will come to their homes it is only a question of time..
And truth is hate speech for those who hate the truth! The Western Mainstream Media is so bad it’s sunk to the level of PRAVDA and the Nazi VOLKISCHE BEOBACHTER and, moreover, is arguably worse. The West is run by criminals of the very worst kind as they are utterly evil. 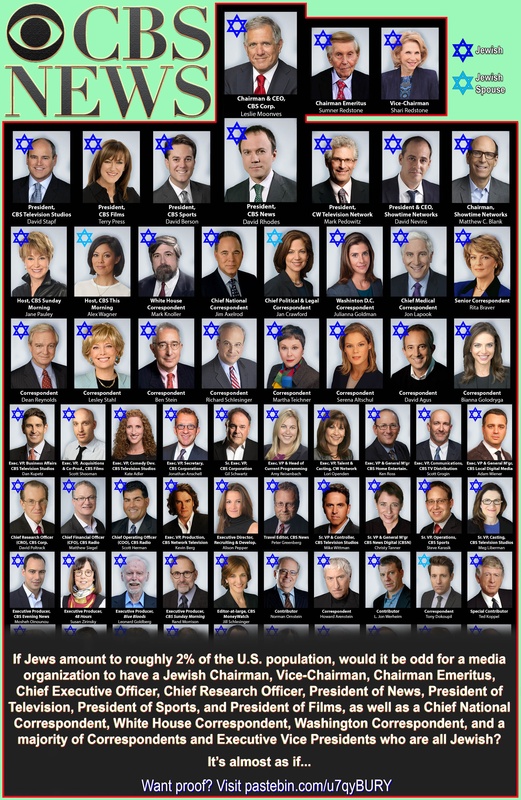 At the core of these criminals are hardened Satanic Zionsts who control the Anglo – American – Zionist Bankster – Corporatist Cabal (aka “the Globalists) controlled by the Rothschild’s clan and their coterie of fellow travellers. The Western leaders are mere puppets who can be removed at the flick of wrist of the cabal. The USA, UK, EU and other US vassal States are effectively the enemy of humanity and are obsessed with thei quest for Global Hegemony and Dictatorship. I’ll have more respect for PCR and other self proclaimed “truthers” like Infowars, Veterans Today, Antiwar, all of which I’ve been banned from for truthing about evil Jews, etc.. When they stop ignoring the obvious and start actually telling the truth about evil Jews rather than beating around the bush. Like this. Click on the image to see an expanded view and to be able to read the text. 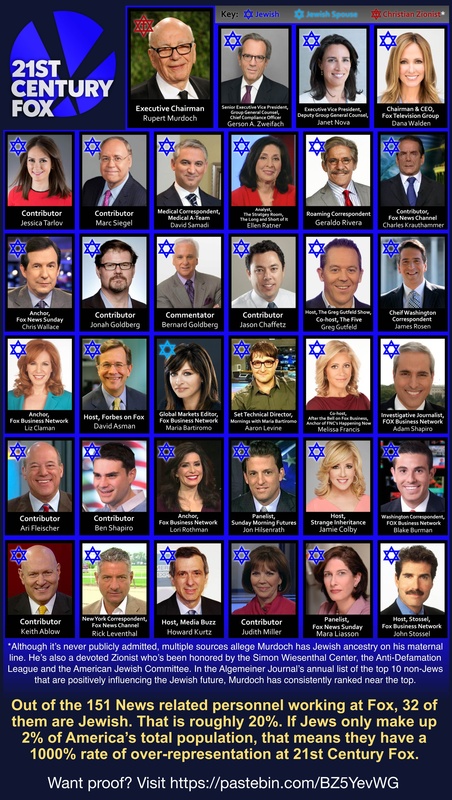 Paul Nehlen is the creator of these Jew media memes. AS BRILLIANT AS ALWAYS ARTICLE PAUL!! To use your analogy. I have travelled to places hot and declined to ‘sit in the sun’ as I dislike sunburn. I used the logic that being sunburn ruins a holiday and I was NOT bothered about ‘fitting into society’ on a beach holiday location. Thank you Florian, you are quite right, that one liner was flawed. My excuse is I was tired, posted and went to bed, should have thought more. What I was trying to say is that logic is learned and often we accept a logic so as to be accepted into society. e.g. writing a hypothesis follows a strict format. To not do so is considered illogical. I live in Australia, although I have lived in Europe. The Australian sun is very hard on your skin, particularly fair skinned people. My middle daughter and I have fair skin and we burn easily (20 mins max in the sun), my other children have olive complexion and do not burn so easily, but even they can suffer. I have known people who burn then two weeks later repeat the burning process. They are not tourists, they are crazy maybe. The Australian sun shines about 8 months of the year, even though there is a southerly wind blowing (i..e. from the Antarctic) and it is cold the sun’s rays can burn. There is a quote that is about 100 years old that says ” It is difficult to get a man to understand something if his job depends on him not understanding it “. I think this describes what you say perfectly. I think you are right, and uses less words than me. My wife used to say how I got my first degree when I can barely string two words together is beyond her, she was being humorous. I was doing my masters and my wife was proof reading my hypothesis, my wife is a word smith. I am a maths/science person. I leave the beautiful works of art to those who are more capable and often smarter than myself. I like your quote and have made a copy, thank you. However , numbers and words dictate all that we do and the abuse of words and numbers by malevolent governments, dictate that we are dictated to.